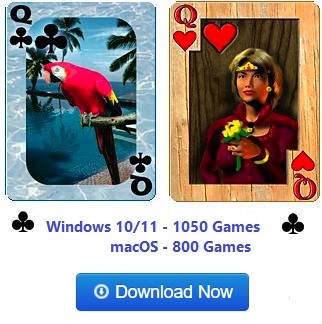 Screen shot of the game Fascination from Pretty Good Solitaire. 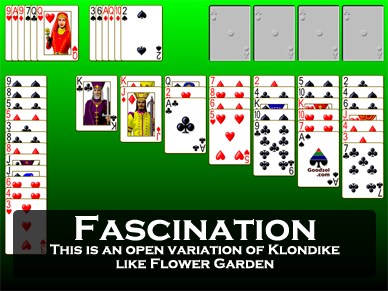 Fascination is a one deck game of the Klondike type. At the start of the game, one card is dealt to the first tableau pile, two cards are dealt to the 2nd tableau pile, and so on up to seven tableau piles. All the cards are face up. 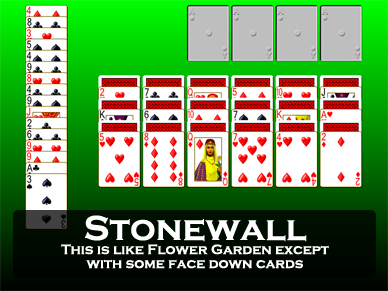 Then six cards each are dealt face up to two fans (reserve piles). Finally, 12 cards are dealt face up to another reserve pile. 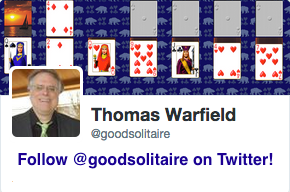 The entire deck is dealt out face up, making Fascination an open game. The object is to build four foundation piles up in suit from Ace to King. The 7 tableau piles are built down by alternate colors. 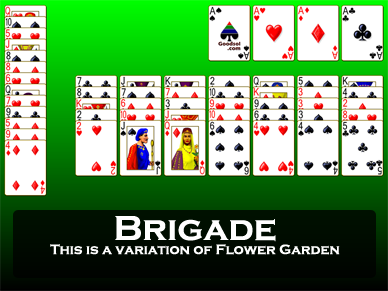 Groups of cards in sequence down by alternate color can be moved as a unit. 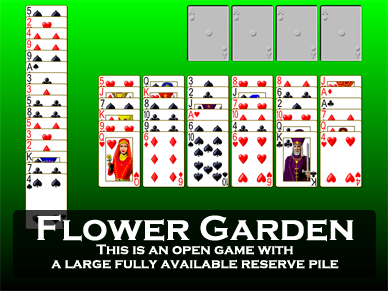 Spaces can be filled by a King or a group of cards headed by a King. 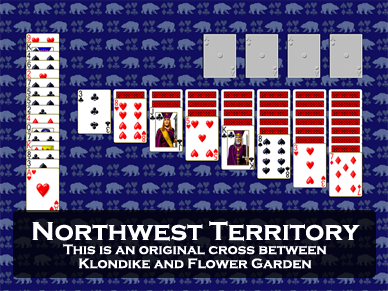 Only the top card of the two 6-card fans is available for play on the foundations or tableau. Every card in the 12 card reserve is available for play. To play a buried card, click on it to move it to the bottom of the pile, then move it to where you want it (or you can simply right click on it). Good players can win Fascination nearly every time. Average players win about 65% of the time.